Wed., July 20, 2016, 1:15 p.m. 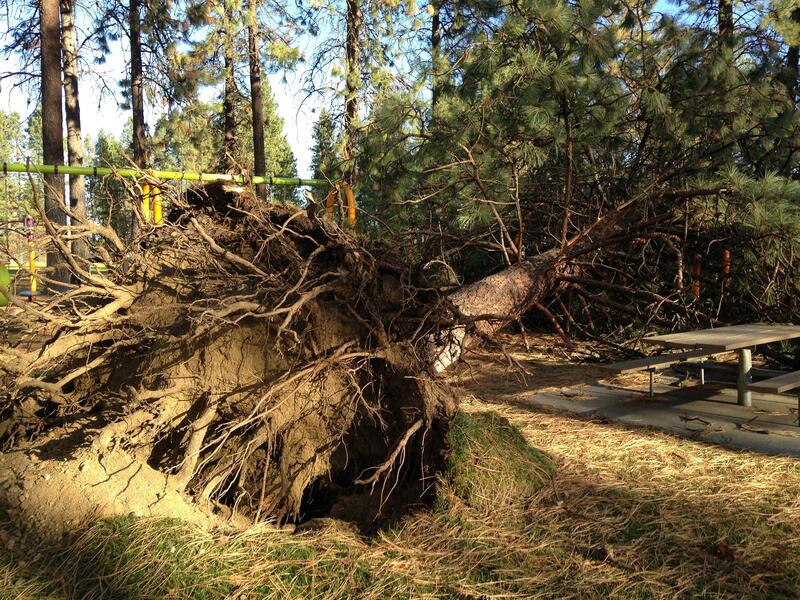 Low-income homeowners can get help clearing tree branches and stumps left over from last year’s major windstorm through a new initiative funded by the city of Spokane. “Some homeowners just can’t afford to have this debris removed,” said Heather Trautman, director of neighorhood services and code enforcement for the city, in a news release. The new program will be operated by Spokane Neighborhood Action Partners (SNAP). Qualifying homeowners must be city residents and have annual incomes at or below 80 percent of the area median income, the release said. For a family of two, that’s $40,100; for a family of four, it’s $50,100. The city believes about 200 residences still need to clear storm debris, but not all of those homeowners would qualify for assistance, the release said. The Spokane City Council on Monday approved setting aside $200,000 for the program, city spokeswoman Marlene Feist said. Homeowners who want more information can call SNAP at 319-3080, a number that’s good for this program only, or visit www.snapwa.org. Funding will be distributed on a first-come, first-serve basis, and applications must be submitted by September 20. Published: July 20, 2016, 1:15 p.m.